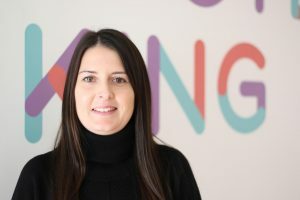 Manchester agency One has appointed Victoria Hallam as project manager. Hallam joins from Macmillan Cancer Support, where she worked on its online fundraising content. She will be working with One’s digital and client services teams to produce projects for new and existing clients, such as The Fremantle Trust, Moduleo and Franke. She'll be working alongside the head of digital, Paul Pearce, to streamline and enhance the department’s project delivery, enabling it to produce the best results for its clients. Wayne Silver, managing director at One, added: “Victoria joins us at a time when our clients’ digital requirements are changing rapidly and there is a complex interrelationship between their digital and more traditional marketing mix. One also works with the likes of Euler Hermes, Hoover, Taylor Wimpey, United Utilities and York Racecourse.